This hanger can solve the problem of front brake judder and squealing on cross bikes and touring bikes with cantilever brakes. This cable hanger guides your front brake cable via a fork crown-mounted bracket. 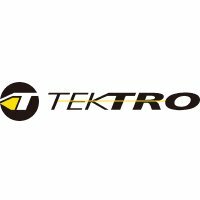 Well made, the Tektro way. Routing the cable this way often helps prevent the judder/squeal that can be experienced when a cantilever brake cable is routed via a stem-mounted hanger. Supplied with a frame-fixing bolt that goes through the same hole where you would fit a front mudguard fixing bolt. If the supplied bolt is too short, you should still be able to fit this cable hanger by sourcing a longer bolt.